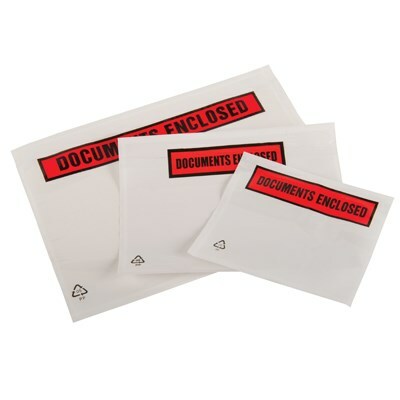 Self-adhesive, oil, water & tear resistant and quick to apply, these documents enclosed envelopes (aka tenzalopes) are available in five 5 standard sizes, either plain or printed ‘documents enclosed’. 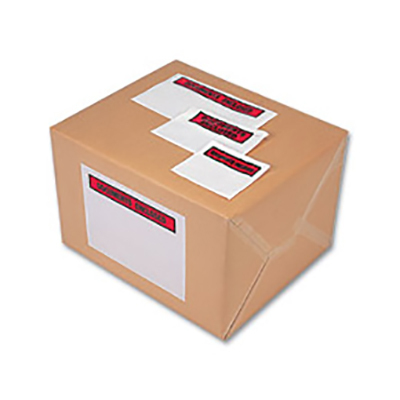 Used extensively in industry, mail order and busy packing departments to attach delivery notes, invoices and other documents to the outside of parcels or ensure address details remain clearly visible. 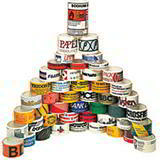 Buy from stock for next working day delivery and save up to 20% with our quantity discounts. 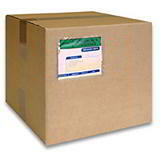 This is a popular high volume packaging product. 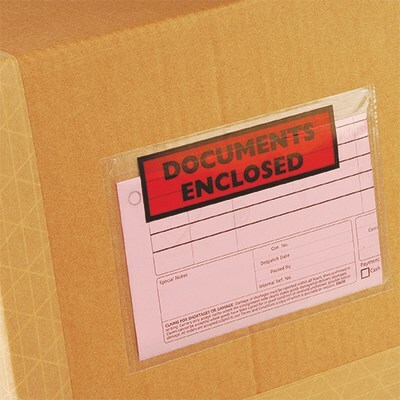 We buy these standard documents enclosed envelopes in large quantities and pass the savings on to you.